Naples Custom Furniture is proud to offer you fine exotic hardwoods from Woods and Slabs, our preferred partner. Browse the entire inventory and purchase online. Look for unique imported exotic hardwoods such as Bocote, Ziricote, Paela, Machiche, Chechen, and familiar exotics like Maple, Mahogany, Walnut, and Cherry. 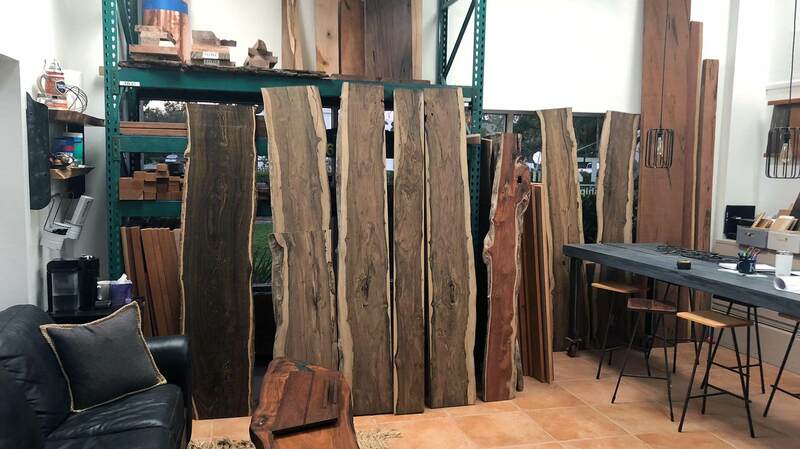 Woods and Slabs carries a wide assortment of Live Edge Slabs, Lumber, and Table Tops for any of your wood projects. Plus, if you are using us for your custom furniture, you can select any of Woods and Slabs inventory for your project! Our aim is be your one-stop shop for your custom furniture project in Naples, Florida.